Yes, pipelines are the safest way to transport energy products. The U.S. Department of Transportation Pipeline & Hazardous Materials Safety Administration (PHMSA) and the Texas Railroad Commission (RRC) regulate pipelines in Texas. Serious pipeline issues are rare. But should an issue occur, it is important that you know how to quickly respond. Damaged pipelines may release flammable products into soil or the air or chemicals that can be harmful to people and the environment. Most serious pipeline incidents are preventable. Improper or unauthorized digging is the most common cause of serious pipeline issues. Protect your family and your community by calling 811 before you dig on your property or near a pipeline right-of-way. If you have a pipeline right-of-way on your property, learn the details of your right-of-way agreement and avoid activities that could endanger underground lines, such as planting trees or shrubs or placing buildings or structures on the right-of-way. a professional, including a licensed plumber. Know about carbon monoxide poisoning and how to prevent it. Never use natural gas ranges or ovens for heating your home. Using a range or oven as a source of heat can cause dangerous levels of carbon monoxide to build up. Carbon monoxide is a poisonous gas that is colorless, odorless and tasteless. This poisonous gas can cause serious illness and even death. Consider installing a carbon monoxide monitor. Pipeline companies carefully build and maintain their lines. In addition, they monitor pipelines around-the-clock. They place pipeline markers to identify the general location of pipelines and provide an emergency contact number. Operators patrol their lines to identify potential issues by plane and on foot, and regularly trim trees and remove shrubs or structures that are too close to the right-of-way which can impact safety. 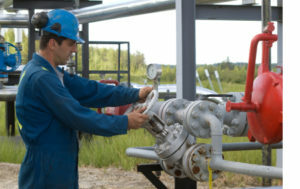 Pipeline companies often take samples of the products they transport to identify early signs of a pipeline issue. They employ a number of preventative maintenance procedures to test valves and visually inspect the inside of pipelines using sophisticated technology. In addition, pipeline operators train their employees to quickly identify and respond to a pipeline issue. 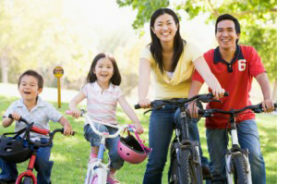 They also invest in communication programs to increase the general public’s awareness of pipelines in their community.